The unexpected popularity of my bike travelogue ebook, ¨American Road¨, prompted me to search through my old journals and photographs for earlier tales of my motorcycle adventures. I managed to find an account written about a trip I took to the Munich Beer Festival in 1980. This has been supplemented by my memory of that event and enhanced by my motorcycling activities before and after that time. Alas, most of the later experiences have had to rely largely on my memory, but I am grateful for the fact that I always took a camera with me. The resulting photographs have been invaluable in reawakening my memories of those travels. American Road is available on Amazon and on Apple’s iBook store. 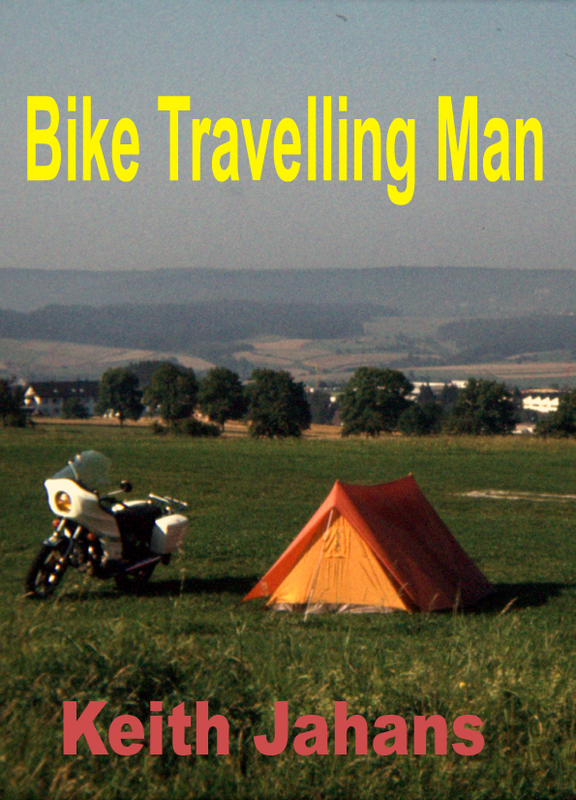 So far most of its sales have come from Amazon so in the first instance Bike Travelling Man will only be available from Amazon kindle stores in the Mobi (Kindle) format. Clicking (or tapping) on the link below or on the link in the side panel will take you to the web page where British and American readers can find further details and can access their relevant online stores. I hope this account and the photographs will provide as much entertainment for my readers as the previous ebook seems to have done.